According to the USFA, cooking fires are most common during the holidays. These usually occur because you forget that you are cooking something as you are visiting and catching up with your family; it is very easy to get distracted and forget about your dish in the oven. 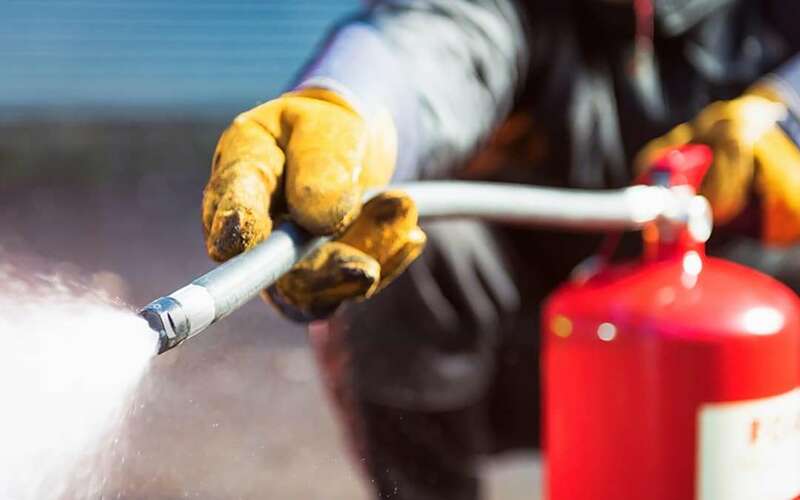 In order to minimize such risks, it’s important to ensure your smoke detectors are working properly as well as always keeping a fire extinguisher that can be accessed easily. To avoid a fire caused by candles, ensure that the candles are not too close to anything that can easily catch on fire. Also, never go to bed with a flame still burning; always remember to blow it out before leaving the house or going to bed. Another way to prevent this type of fire is to consider using flameless LED candles. Although they may not seem to give off a scent or seem as festive, they are much safer. One of the most fun, festive and traditional parts of this time of year is decorating the family Christmas tree. However, this is also an extremely dangerous and risky activity. As Christmas trees become even more dry, they become even more flammable, which poses a great threat especially when decorated with older lights or surrounded by candles. To minimize the risk of tree fires, consider using artificial trees. Another prevention tactic is to keep a well-watered tree, which are almost impossible to ignite. Decorative Lights – consider combining this with the point above? As I am sure most people know, ornaments aren’t the only decorations to go on a Christmas tree… lights are also a big part of Christmas decor. But it is crucial to throw away any cracked wires or broken sockets to prevent a fire, as Christmas trees are extremely flammable. Also, if you hang wires on the wall or railings outside, avoid using nails or staples, which can damage the wiring and increase the risk of fire. There’s nothing more relaxing than cozying up by the fireplace on a cold winter’s night. However, this much-beloved tradition is also very risky. Soot can harden on chimneys, which becomes very flammable. So before you become too comfortable in front of your fireplace, have your chimney inspected to see if it needs cleaning. Before the holidays get into full swing, consider investing in Homeowners Insurance, if you have not already. Homeowners Insurance can help protect you and your home from such incidents. Contact the agents at Penny Insurance Agency for any assistance or questions you may have.